Autumn Snowflake (Leucojum) grows in many different cultivars that grow in the spring, summer and fall. It reminds me of winter’s snowdrop with the drooping of the stems. The difference is that these white flowers open. They are tiny white bell shaped flowers that dangle off of the ends of their branches. This flower doesn’t grow too tall; reaching about 7-8 inches in height. The blossoms grow along with skinny stems and small leaves that resemble grass. The stems grow straight up tilting slightly to one side. At the edges of the stems grow the tiny drooping flowers. They look very pretty and dainty hanging off of their stems. I seem to think of wedding bells whenever I see this plant! Plant your Snowflake bulbs in light, sandy soil that is somewhat rich. They will grow in either sun or partial shade. Do not plant them in areas with constant shade as they need the sun. Dig a hole about 4 inches deep to plant your bulbs in. Space each bulb at least 4 inches apart because they need the room to grow. Once you have planted the bulbs, they really do not need much care. They are a perennial plant that will grow back year after year. You can divide the plant every few years if you think they need it, but they should last a long time without needing to be divided. 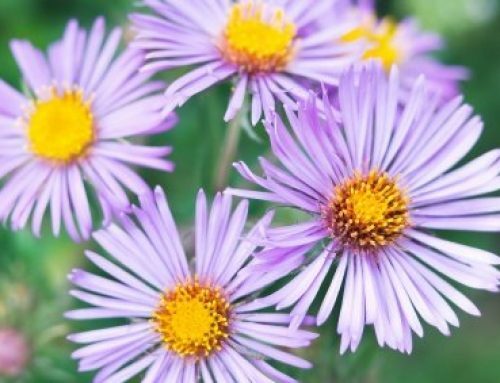 I really like this plant for my fall garden because they are very easy to grow, and also because they make a great addition to my flower beds. I also like to use them as a border for certain beds. Whatever you decide to do with your Leucojum plant, I am sure you will enjoy it!